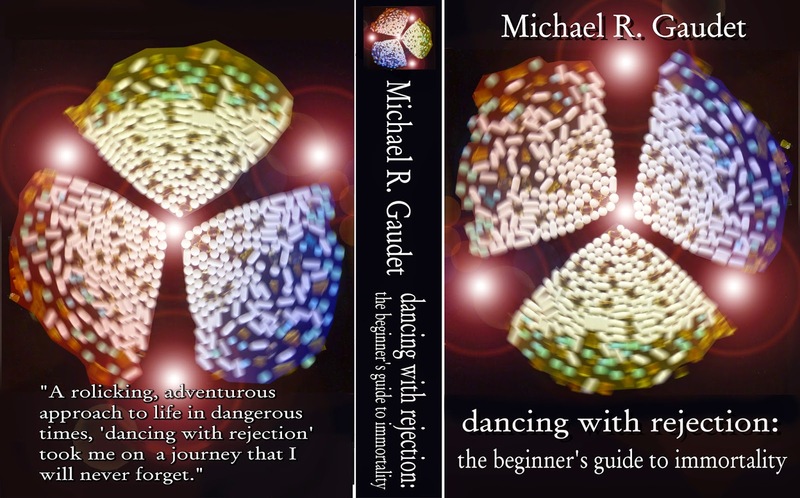 The Art of Michael R. Gaudet: Did I mention I am publishing a memoir? Did I mention I am publishing a memoir? A Passion Project of mine for the past several years has been first the collating, transcribing and then finally the writing and attending to the editing of the memoir/novel 'dancing with rejection: the beginner's guide to immortality'. It's a rollicking, adventurous drama that traces my life from the early death of my father, through to my own brush with death and on to chronicle the rise in my fortunes as a monumental mural painter and advocate for patients' rights. There is an early illustrated synopsis that you can view here: Near-Death Experience Fuels Quest for Immortality. the beginner's guide to immortality'. My latest project is to promote the cause of, wait for it, 'Reasonable Efficient Notifications and Action Law (RENAL)'. This begins with a petition that I invite you to sign. Takes like 15 seconds in total. We are asking for better, clearer, more timely communication between kidney transplant centers and their millions of potential kidney donors and recipients. Please, take a few seconds to sign, if you know anybody with kidney disease. Chances are, you do. SO happy you have a memoir!!! A wonderful one too I am certain! I signed the petition!